CES 2017 was the place to be for all VR enthusiasts. We all stood breathless, waiting to see the future of our favourite tech. The rapidly-growing fame of VR did bring in some new players to the game, but... we didn’t really see the great advancement we were hoping for. The first good news is that HTC unveiled their new tracker which allows turning physical objects (like a baseball bat, or a toy gun) into traceable VR devices, and committed to building a wireless VR headset. We've been working on that along with Valve, so we know how exciting this really is, as HTC Vive is, without a doubt, the best VR headset on the market. You told us the same when we asked you. HTC also presented a content marketplace for VR arcade operators and announced a VR subscription service. The headset's design has also been slightly altered to include integrated headphones and a new, hard-shell strapping mechanism. 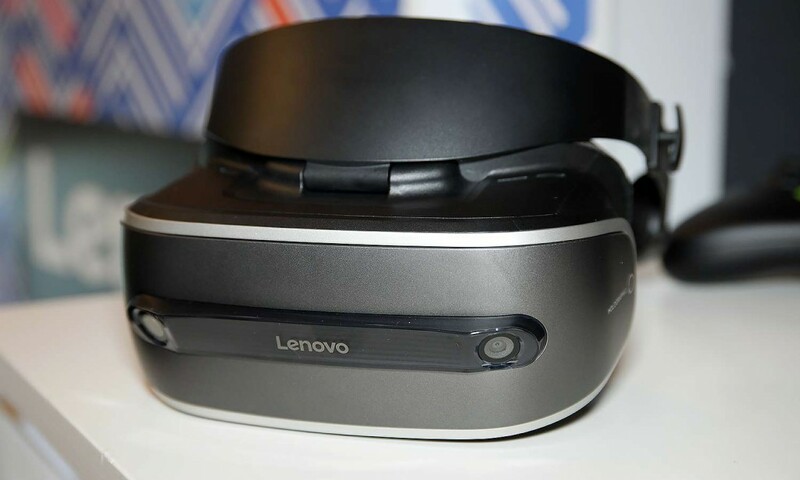 Lenovo also showed off a VR headset with controlles and promised it's going to be cheaper than their competitors' products with a possible price below $400. Unfortunately, the prototype on display wasn't actually working so we might have to wait for a bit longer in order to see what it's going to be capable of. Intel is also developing a VR headset, but the presentation was carried out using well-known Oculus tech, so nothing really exciting happened there. Still, that doesn't mean we're not eagerly anticipating their future product - Intel is a mastodon of a company and might surprise us at any moment. The more "extravagant" devices we saw were Theory's Hypersuit and Cerevo's Taclim. 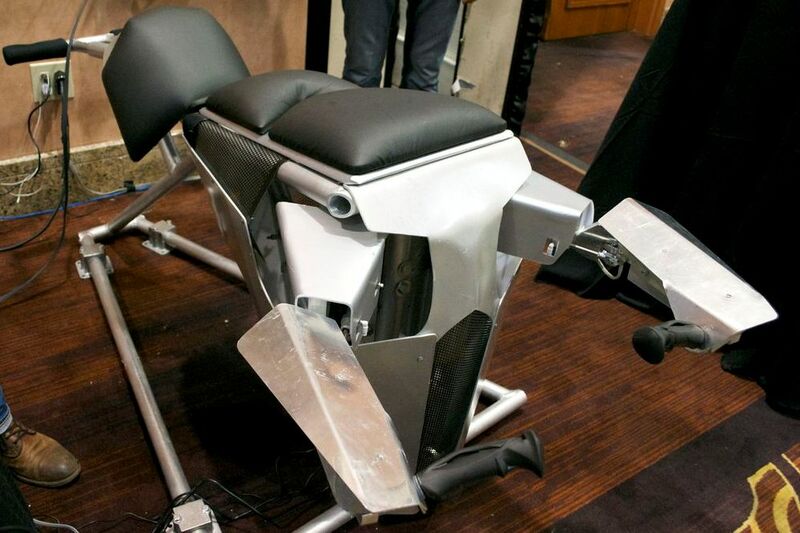 The Hypersuit is a prototype of a full-body flying simulator, desgined to fit in the world of VR arcades. This is an amplified VR experience which you can't get in your home (yet), and it's still in need of some improvements - mainly when it comes to user comfort. Taclim does pretty much the opposite and takes you to the ground - quite literally. It's a set of shoes and gloves for VR with built-in tactile devices to give haptic feedback to users. Taclim generates the sense of stepping on the ground in virtual spaces (desert, grassland, water etc. 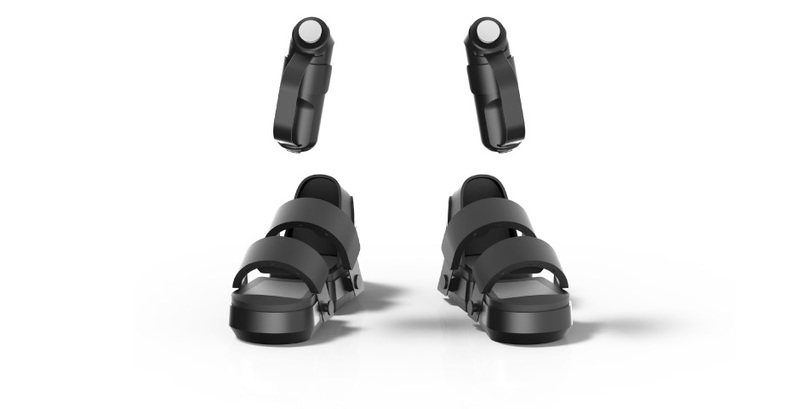 ), brings you the sense of wearing shoes worn by the virtual character and brings a sense of touch. Taclim also works as an input device to control the character and reflect the motion of the player in the virtual world to increase the feeling of immersion. We were hopeful that VR technology would expand and improve with strides similar to the advance of smartphone technology; however, that no longer seems to be the case. Even though VR headsets were a hot item on shelves this Christmas, it’s still not your average, run-of-the-mill everyday tech. Still, it’s on the right track to becoming more and more lightweight, consumer-friendly, and most importantly – fun!